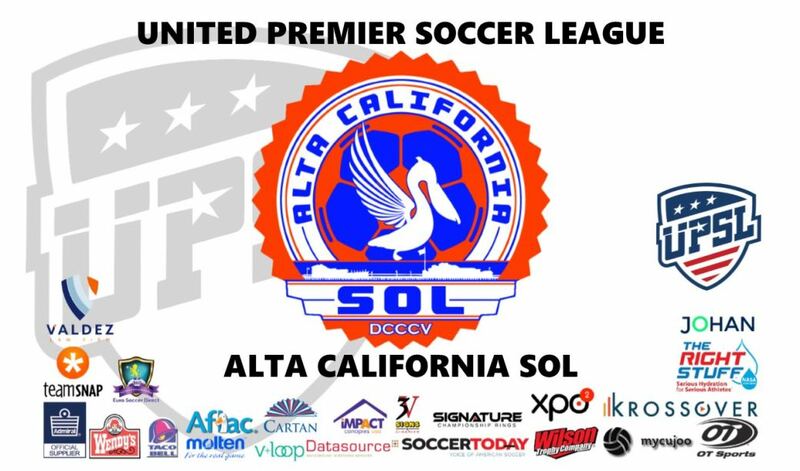 LOS ANGELES - Nov. 30, 2018 - PRLog -- The United Premier Soccer League (UPSL) is pleased to announce Alta California Sol as a member starting with the 2019 Spring Season. United Premier Soccer League Western Conference Operations Manager Gary Brunner said, "Santa Barbara is such a terrific market and it's great to see Alta California Sol join the UPSL. Sol Soccer Club Executive Director d'Alary Dalton has put together a strong youth club and this is an exciting move for Sol Soccer Club as it sets out to grow into the Pro Development arena. Good luck to Dr. Dalton and Sol Soccer Club as they prepare for the 2019 Spring Season." Dr. d'Alary Dalton is Executive Director of Alta California Sol. A native of Santa Fe (N.M.), Dalton holds a Doctorate in Education from Oakland (Calif.)'s Mills College, and both a USSF 'A' Coaching License and a NSCAA Advanced National diploma. Alta California Sol Executive Director d'Alary Dalton said, "The development of Alta California Sol is a dream come true for me. I've been actively working to develop a top-to-bottom club that bridges the youth to professional ranks. We are going to build a successful club that is something that our community can enthusiastically support. We are deeply grateful for the opportunity to be a part of the UPSL."